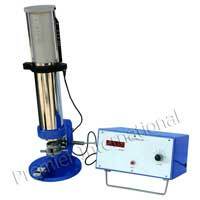 We offer highly efficient Surface Roughness Smoothness Tester. Our product is made from very high quality product. Moreover, we employ the most sophisticated technology to manufacture our Surface Roughness Smoothness Tester. Our Surface Roughness Smoothness Tester caters to the needs of diverse industries. We offer our products at very reasonable rates. We manufacture and supply Surface Roughness Smoothness Tester (Bendtsen Type) for determining the smoothness and porosity of paper and board. Our product is based on mass flow meter principle. 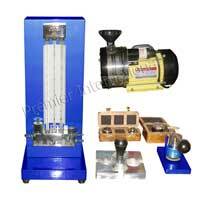 We provide our Surface Roughness Smoothness Tester (Bendtsen Type) with imported sensor and accessories.